Visits with my college roommate Tracy always involve some sort culinary adventure. My last trip was no different, except she’d been following this blog and was determined to help me overcome my fear of baking bread. 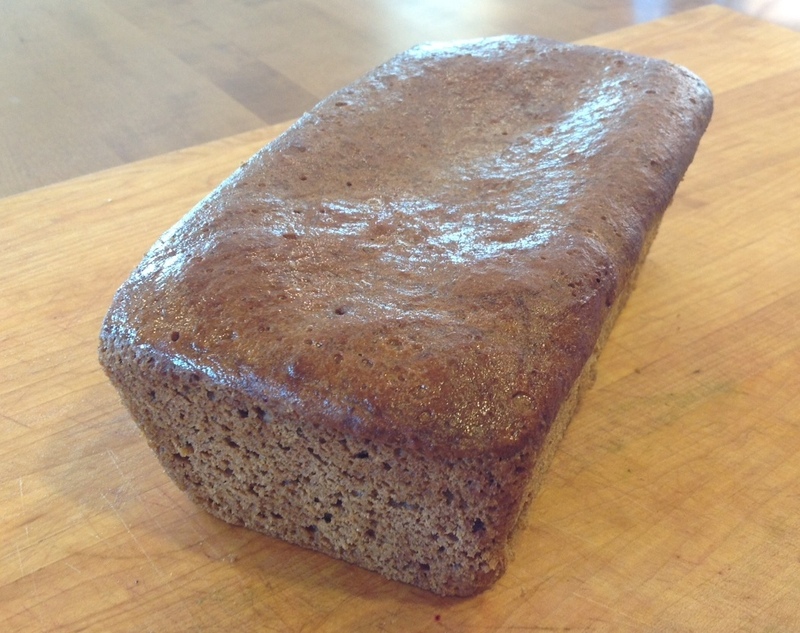 The second day I was there, she pulled out the King Arthur Flour Whole Grain Baking cookbook and flipped to “The Easiest 100% Whole Wheat Bread Ever” recipe. I was skeptical, as I always am about baking bread. 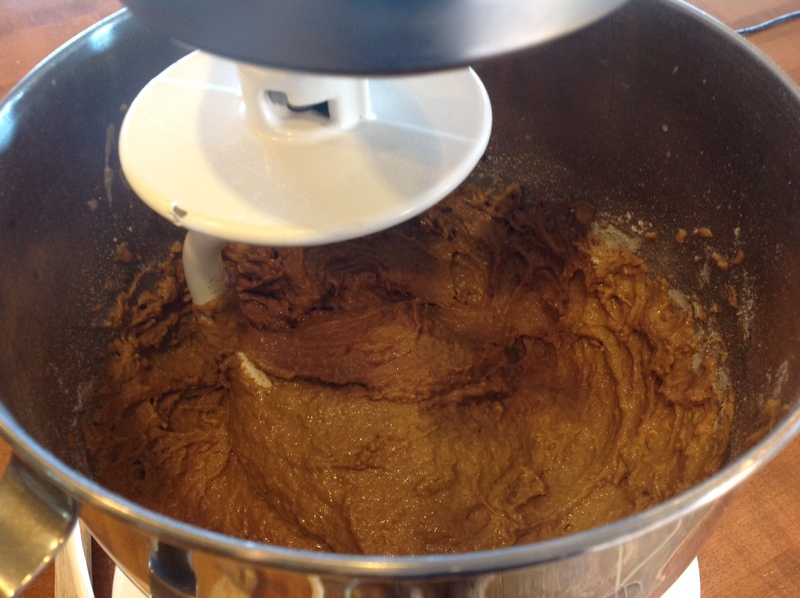 But just seven ingredients later, mixed in a KitchenAid stand mixer no less, we had batter rising in a loaf pan. Only an hour later, we popped it in the oven. You read that right: No more kneading. No more anything. Now, that’s what I call easy. Most importantly, the end result was delicious. 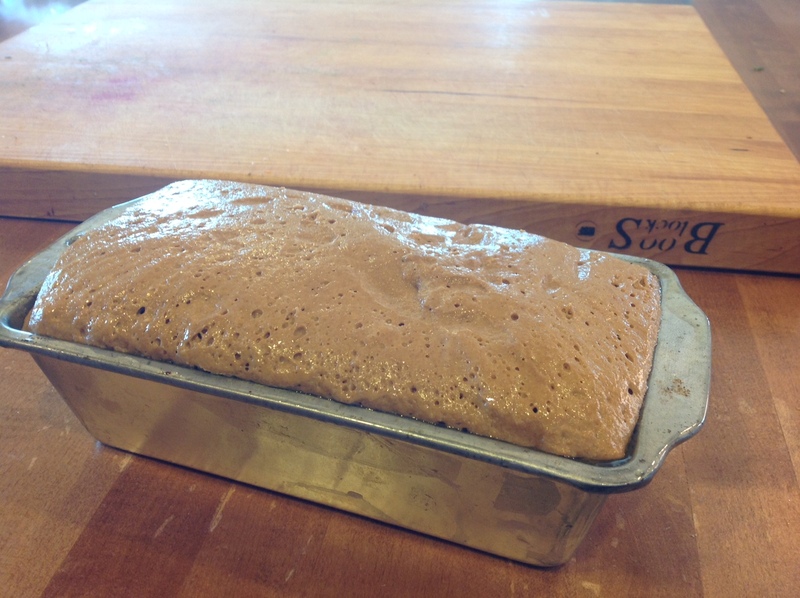 The recipe is on page 180 if you have the King Arthur Flour Whole Grain Baking cookbook at home. If you don’t, buy it. I did. Does anything make a house smell more delicious than baking bread? I say this as if a loaf is in the oven right now. Ah, no. Even though one of my New Year’s resolutions for 2012 (yes, ’12) was to bake bread each Sunday for the upcoming week ,and I got Mike, the king of multigrain, on board with eating said bread, it never happened. We’re now more than halfway through 2013, and I still can’t bring myself to do anything besides read whole wheat bread recipes. Truth of the matter is, the thought of baking bread intimidates the hell out of me. I’m not sure if it’s the kneading of the dough, or the letting it rise, or the punching it down that keeps me from putting “plan bread” into action. It just seems so complicated. I should mention that I’ve attempted these steps before, somewhat successfully, at an artisan bread-making class last year at the Chopping Block. In the span of a few hours, we knocked out a head-spinning number of recipes, like whole wheat pita, rosemary breadsticks, challah and English muffins — all amazing but not likely destined to become part of my repertoire. Plus, it was too much for my brain to absorb in such a short period of time. More helpful would’ve been if the teacher had been in my kitchen demonstrating the steps at my island, with my bowls, and then hovering nearby as I gave it a go. Kind of like how my mom taught me to make pie crust. If only she baked bread. And now, a French bakery is set to open down the street next week. I imagine this will be a setback to the plan I’ve had for making my own bread at home. Speaking of imagine, did you know John Lennon baked bread during his years as a “house husband,” when he stayed home and raised baby Sean? Perhaps this video, which briefly showcases his kneading skills, will inspire me to move beyond the perusing-cookbooks stage.